We service your tank as if it were our own. Commercial & Residential services available. Clear drain lines with high pressure water jetting. The simple way to keep your septic system working. Buyer beware! Inspect the septic systems before you buy. The best soil amendment for lawns and gardens. Truck rental services, municipal / sewage sludge, and other services. CAS is a family owned and operated business that delivers an efficient, economical, and environmentally friendly land disposal program for our customers. It happens, call us when you have a problem and we’ll find a solution. We deliver efficient, economical, & environmentally friendly solutions. Craven Ag Services has been my “go to” company for septic inspections and repairs for many years. 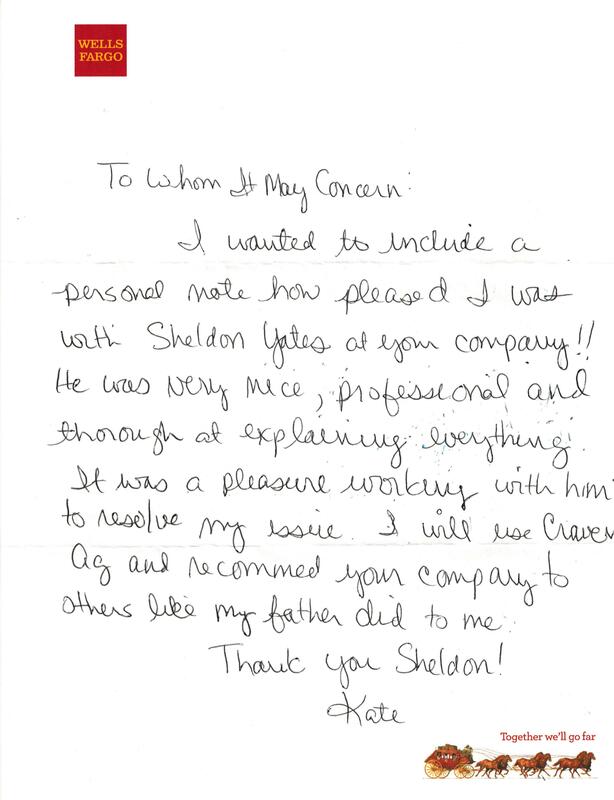 The firm is professional in every regard and provides exceptional service to my clients. The office staff is courteous and aims to please. The technicians and the reports they prepare are exceptional. Please feel free to call me for a reference any time. I have worked and referred customers to Craven Ag Services for over 6 plus years and have had fast, courteous, and excellent service. The staff is always friendly and professional. Mac and his staff at Craven Ag Services make the customer top priority. As a business owner, I trust that Craven Ag will take care of my customers just as I would. They have been very helpful over the years with responding to emergency pumping services and go above and beyond to help in any way possible. Coastal Craftsmen, as a general contractor, does all of our work at job sites and it is crucial that we have clean, well maintained restrooms available to our employees while they are on the job. Craven Ag delivers their porta-johns on time and their standard of cleanliness is what makes them our first choice when it comes to restroom rental. Grease trap cleaning requirements vary by city. Enforcement of the requirements is performed by random inspection. An initial cleaning may cost more depending upon condition and length of time since the previous servicing. Read this article for more information about Fats, Oils and Grease Control. There are two main parts to the basic septic system: the septic tank and the drain field. Household wastewater first flows into the septic tank. In the tank, heavy solids in the wastewater settle to the bottom forming a layer of sludge, and grease and light solids float to the top forming a layer of scum. The sludge and scum remain in the tank where naturally occurring bacteria work to break them down. The bacteria cannot completely break down all of the sludge and scum, however, and this is why septic tanks need to be pumped periodically. The separated wastewater in the middle layer of the tank is pushed out into the drain field as more wastewater enters the septic tank from the house. If too much water is flushed into the septic tank in a short period of time, the wastewater flows out of the tank before it has had time to separate. This can happen on days when water use is unusually high, or more often if the septic tank is too small for the needs of the household. Homeowners should stagger their laundry throughout the week and try to do no more than two wash loads per day. When wastewater leaves a septic tank too soon, solids can be carried with it to the drain field. Drain fields provide additional treatment for the wastewater by allowing it to trickle from a series of perforated pipes, through a layer of gravel, and down through the soil. The soil acts as a natural filter and contains organisms that help treat the waste. Solids damage the drain field by clogging the small holes in the drain field pipes, and excess water strains the system unnecessarily. Conventional septic systems are a very simple way to treat household wastewater. They contain no moving parts and are easy to operate and maintain. Although homeowners must take a more active role in maintaining septic systems, once they learn how their systems work, it is easy for them to appreciate the importance of a few sound operation and maintenance practices.